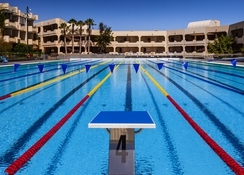 One of the best options on Lanzarote for families and sports lovers. 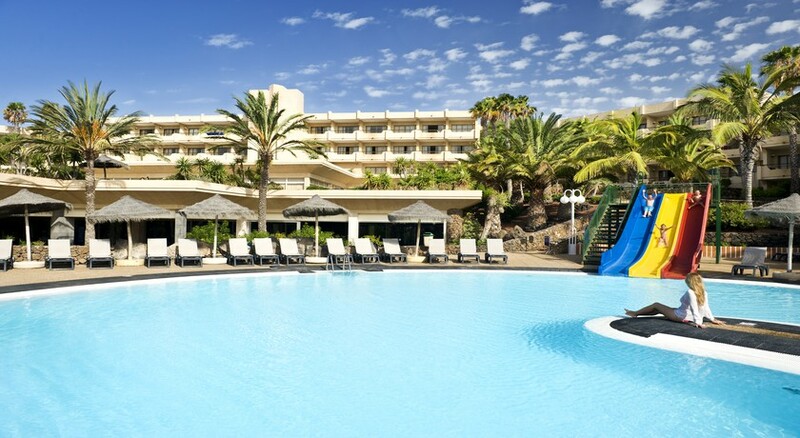 Located in Costa Teguise, one of the island’s main resorts, the hotel combines recently refurbished facilities with an excellent position close to the Atlantic.The hotel’s new rooms offer a superb standard of comfort and are exceptionally well equipped for holidays with children (baby-care kit or Wii console available). The All-Inclusive package includes an innovative entertainment programme, the new Barcy Club, and all kinds of activities and facilities to help you get away from it all and have fun as a family. For those seeking peace and quiet, the hotel has an exclusive area with Balinese beds and a wellness centre.And for those who want to make the most of this destination’s ideal climate to engage in physical activities, there is the sports centre with specialist facilities (Olympic swimming pool, professional cycling centre, deluxe guest rooms for sportsmen and women, and hypoxic rooms), making this a benchmark hotel. These light and airy, fully equipped, 32 m2 rooms guarantee a comfortable stay. Designed to accommodate a whole family in comfort, this generous space of approximately 42 m²has a separate bedroom and a sitting room with a sofa bed. Located in Costa Teguise, one of the main tourist resorts on the east coast of the Canary Island of Lanzarote. • 400 m from “Playa del Ancla” cove. Very friendly welcoming bar staff who get 5 stars. Only one little incident when checking out, we were given some else's bill and had to ask for the manager and prove by our passport that was non of our signatures to resolve the issue. We had a family room for 3 adults which was very spacious but freezing. We asked for heating to be put on which didn't happen.They gave us extra duvets and eventually a small heater which was just enough for the bedroom,so we didn't use the sitting area and thankfully the shower was hot. The food choice was excellent,although again could have been hotter. A little far out from the main area of the resort.